Most T4 conversions started off life as some kind of builders / delivery type van and as such the seating configuration in the cab is a drivers seat and 2 person bench seat. The bench seat is pretty wide and this means there is no room for a door pocket as found on the drivers side. 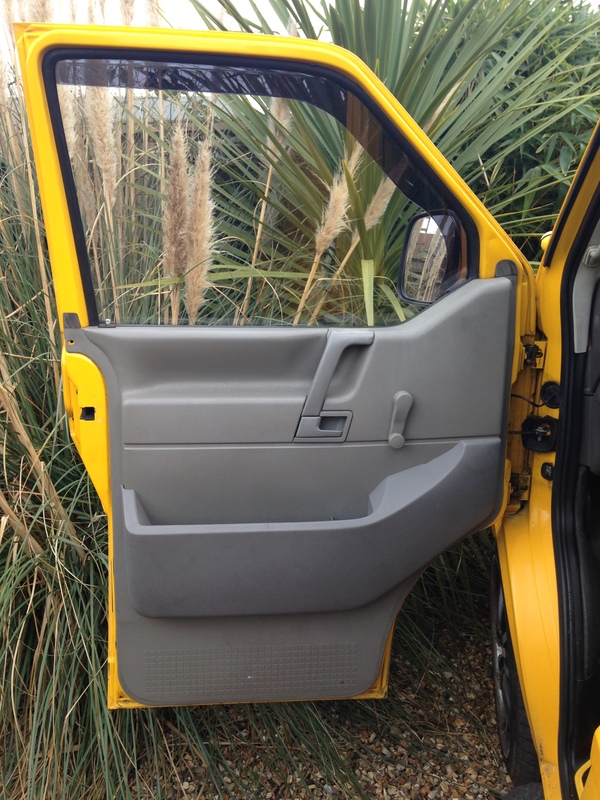 If you remove your bench seat and put a single seat in as we have done then, providing you can find one which is not as easy as it sounds, you can fit a door pocket. 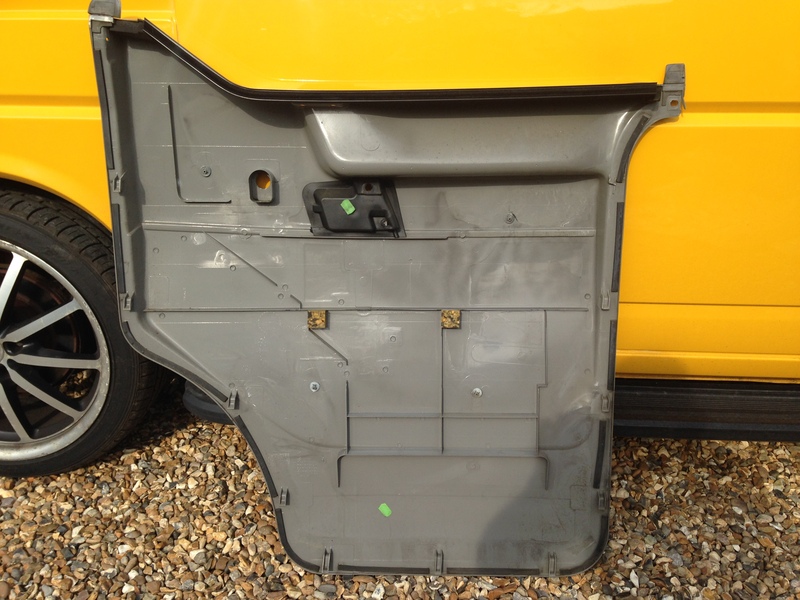 It’s easy enough to do, take the door card off and ditch the insulation and you are left with the below. If you look carefully or do what I did and took the other door card off to compare just to make sure, you’ll see all the screw points are marked, these all need to be drilled. 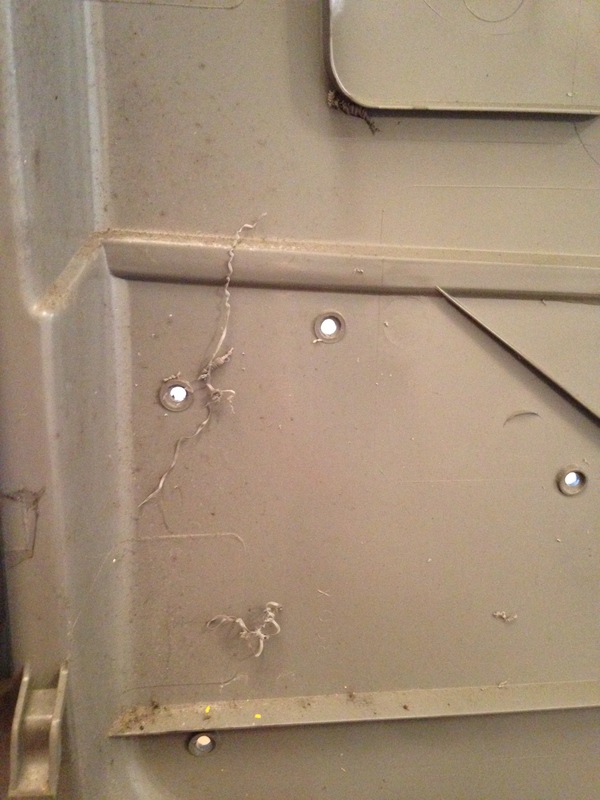 Once you’ve drilled your holes just screw the pocket to the card, fit back on the door and you’re done ! You can now install speakers in each door if you so wish or fill the pockets up with sweet wrappers, the choice is yours !